Video published on Apr 5, 2018 by the Intel YouTube channel. Part of the new lineup of high-performance mobile products unveiled, the powerful 8th Gen Intel Core i9 processor is the highest-performance laptop processor to deliver the best gaming and content creation experience on the go. About Intel: Intel, the world leader in silicon innovation, develops technologies, products and initiatives to continually advance how people work and live. Founded in 1968 to build semiconductor memory products, Intel introduced the world’s first microprocessor in 1971. This decade, our mission is to create and extend computing technology to connect and enrich the lives of every person on earth. 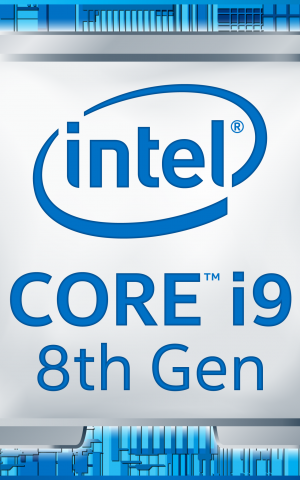 The new 8th Gen Intel Core i9, i7 and i5 processors for laptops are based on Intel’s Coffee Lake chips, and they use a 14 nanometer process technology that allows them to deliver up to 41% more frames per second while playing games or to edit 4K video up to 59% faster than the previous generation, the statement said. Intel’s 8th Gen Intel Core family of processors meets the demand for a more mobile platform for content, allowing for high quality virtual reality and mixed reality uses. This is not the first time that Intel’s R&D team in Haifa has led the design of the US giant’s processors. In 2016, the firm launched its “strongest and fastest ever” processor, Kaby Lake, also sired in Haifa, while in September it unveiled a new family of desktop computer processors with its “best ever” gaming processor for desktops. As the PC gaming industry rapidly grows, Intel has seen increasing demand for fast laptops that can provide desktop-like performance for a better and more immersive user experience, the company said. This includes the ability to stream and record content without compromising the gaming experience. In addition, the level of performance needed to both consume and create content has increased. Intel research shows that that in the US, China and the UK there are more than 50 million producers of digital content, and that number is set to grow. New media features, such as 360 degree video content and virtual reality, increase the need for higher performance computers and laptops, Intel said. Intel has been operating in Israel since 1974 and employs around 10,000 workers in its Kiryat Gat production center and in four development centers, in Haifa, Yakum, Jerusalem and Petah Tikva. The Haifa center is Intel’s largest outside the US. Last year, Intel bought Jerusalem-based Mobileye, a maker of advanced vision and driver assistance systems for use in autonomous vehicles, for a whopping $15.3 billion, the largest acquisition of an Israeli tech firm.